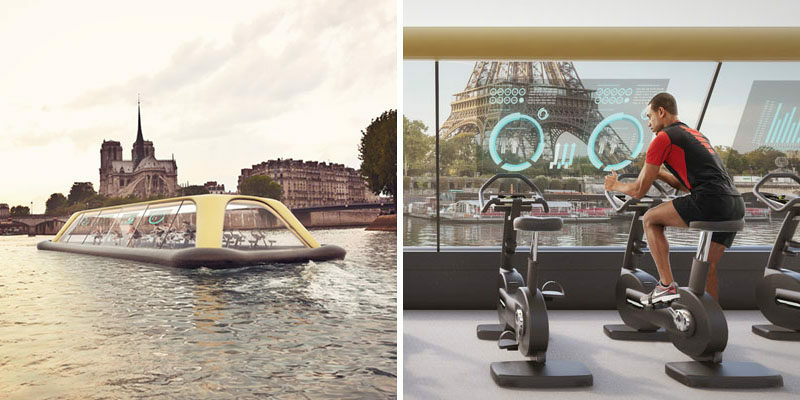 Carlo Ratti Associati has worked together with fitness equipment manufacturer Technogym, the nonprofit architecture group TerreformONE, and the urban regeneration institute URBEM, to create plans for the Paris Navigating Gym, a fitness centre on a boat that uses human energy to propel the boat down the Seine River in Paris. 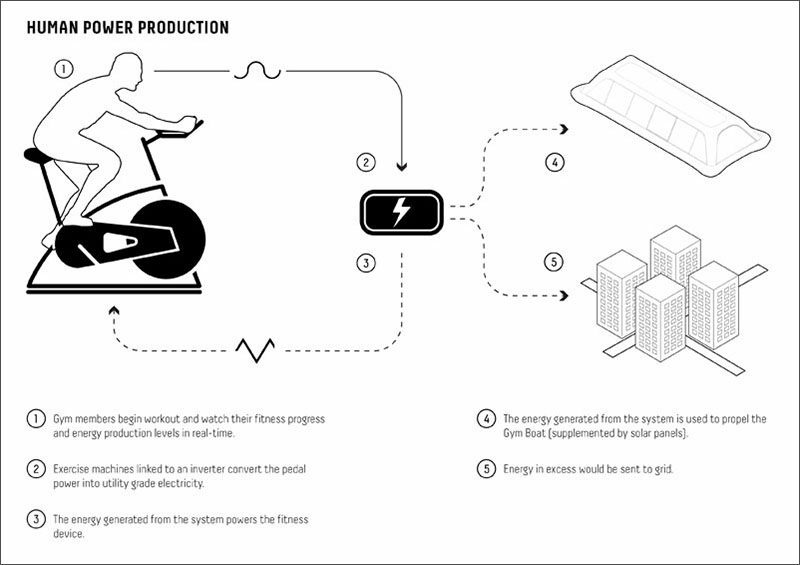 State of the art fitness machines using Technogym’s ARTIS technology take human energy generated during their workout and convert it into energy that can be used in other ways, like to power the electric propellers of the vessel. 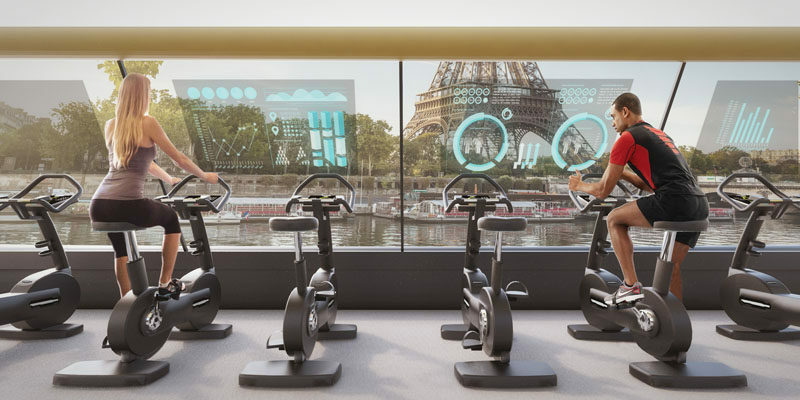 People working out in the fitness area of the ship will be able to see the amount of energy being sourced from their workout as well as data about the conditions on the Seine on augmented reality screens built into the panoramic glass windows of the vessel. 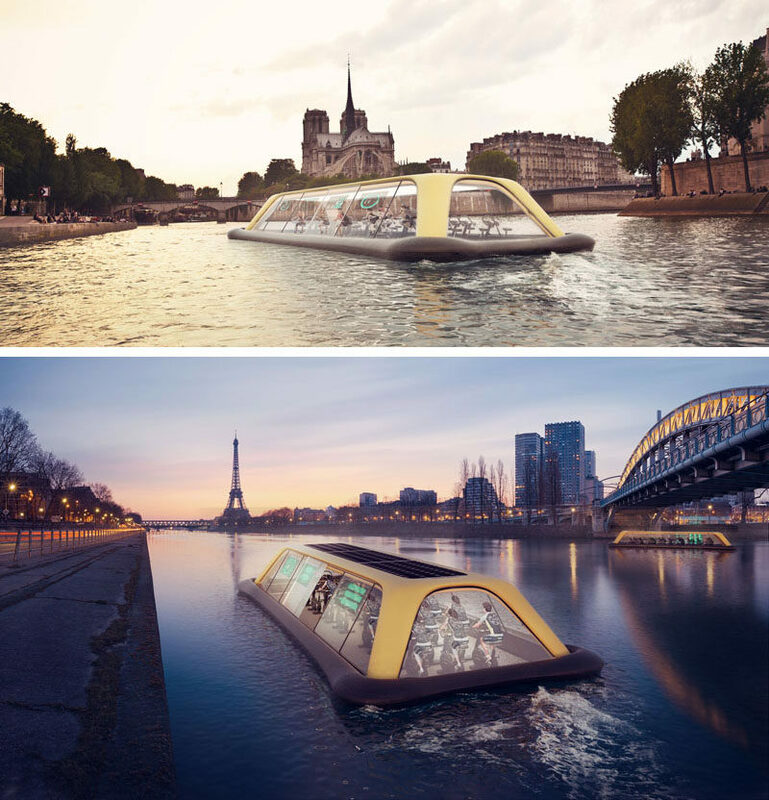 The vessel, which is 20 meters in length and able to hold 45 passengers comfortably, was designed to have a look similar to that of the Bateaux Mouches, the tradtional tourist ferry boats used to carry passengers along the Seine since the early 20th century. 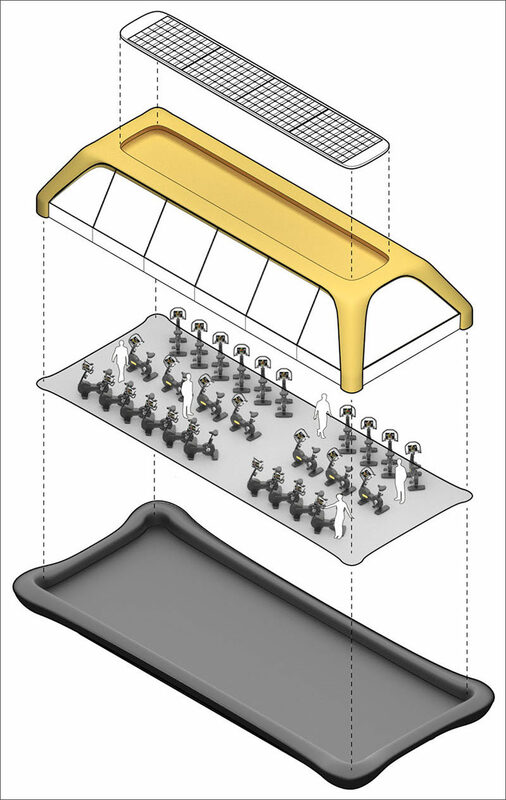 While human energy will be the primary source of energy, other renewable sources like the photovoltaic cells on the roof of the vessel will also be used to help power the boat.